Super Pet is a family of pet lovers, working together to bring you fun, functional and fashionable products that address the care needs of your small animal pet. 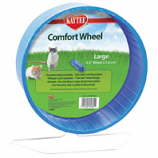 For more than twenty years we have strived to continuously provide quality pet products that are specifically designed to enhance the relationship between you the pet owner and your furry friends. 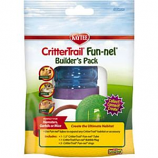 • Choose From Three Different Expansion Kits Each With Everything Needed To Expand Any Crittertrail Home. • Made Of Translucent Plastic So You Can See Your Pet Inside Its Igloo Even When Your Pet Thinks Its Hiding. 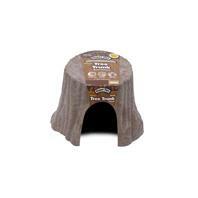 • Igloos Are Constructed From Durable Plastic Making Them Easy To Clean, Plus They Re Odor and Stain Resistant.